Click Flyer For Complete Information And Tickets!!! 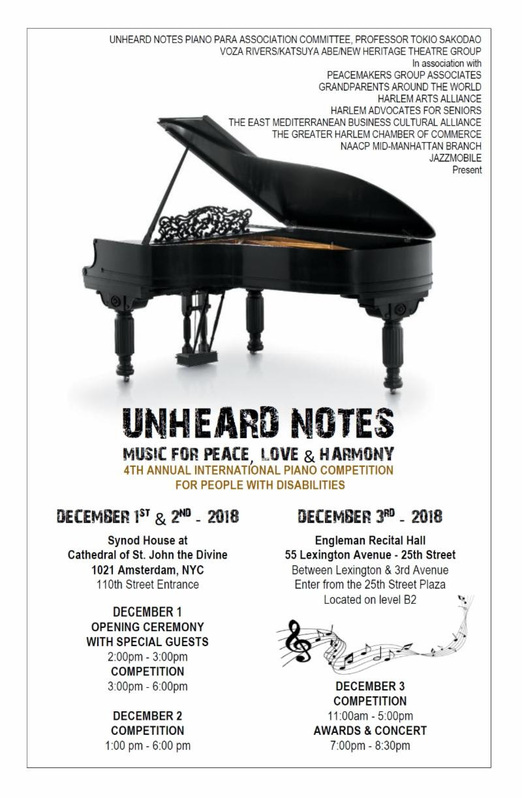 UNHEARD NOTES PIANO PARA 2018 is an international piano music competition showcase and concert for 30 pianists with disabilities from 15 countries who have overcome great challenges. 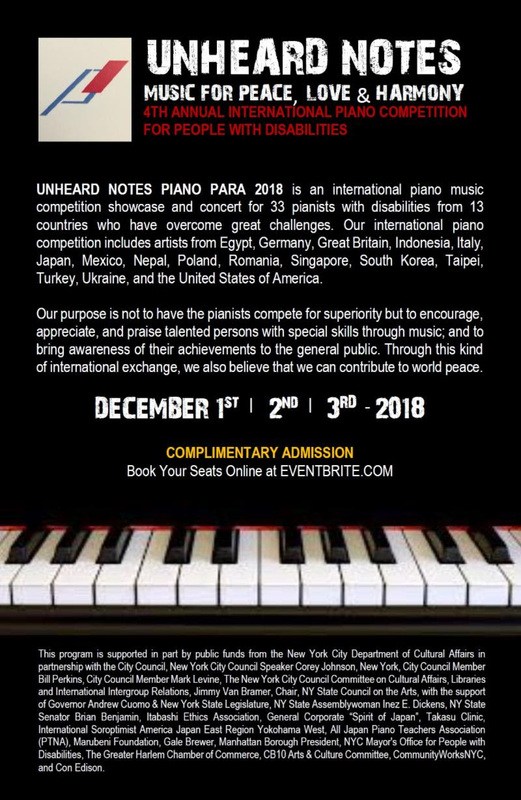 Our purpose is not to have the pianists compete for superiority but to encourage, appreciate, and praise talented persons with special skills through music; and to bring awareness of their achievements to the general public. Through this kind of international exchange we also believe that we can contribute to world peace.